The free crochet pattern for the Amigurumi squirrel girl was inspired by all the friends we see during our wanderings in the Finnish forest. It is also a representation of a Girl Scout or Nature Child. Always so curious and social! 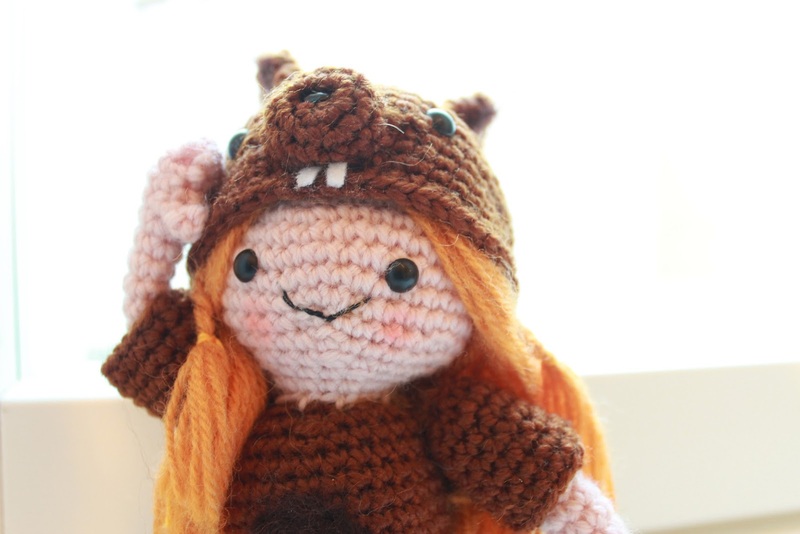 This crochet project has many different parts and you will learn how to felt parts for your Amigurumis, how to ensemble different limbs in your Amigurumis and more. This is a crochet project suitable if you have some practice already in crochet. Additionally you will find that Squirrel girl has a small companion of adventures!, a little squirrel that is suitable for beginners. 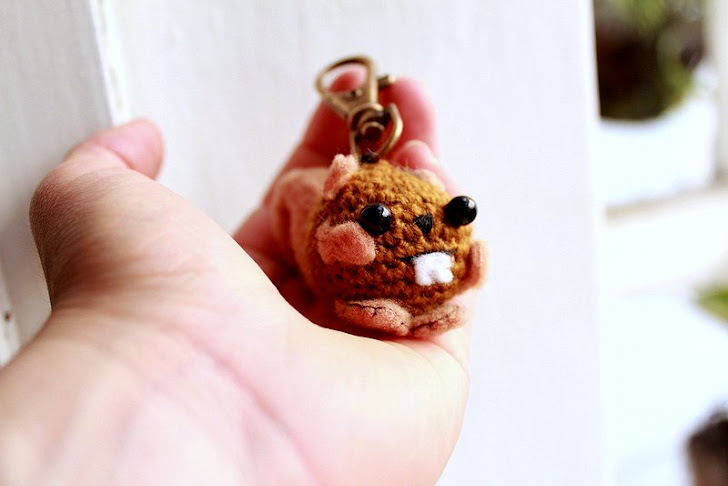 Click here if you want to check the pattern for the little squirrel. 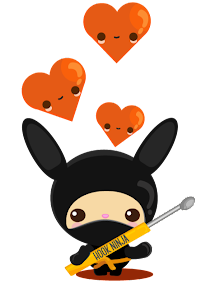 This pattern is also available in Finnish. Any peach yarn in 4 mm. Fiberfill stuffing, cotton or foam. Thin lace used in scrapbooking. White and brown pressed felt. To finish sew a smiley mouth with black thread and add some blush with makeup. Take the eyes and insert them in one of the holes ofthe head. Be sure of placing them in the desired spot and add the safety plastic in the behind press until hearing a click and test if the eye is secured correctly by pulling carefully. Cut as many pieces as you want of the hair in the desired length and volume of your dolls hair. You can cut them all at once by rolling your yarn around a piece of paper and cutting in one end . once you have the desired amount as in the picture. Sew in the middle of your amigurumi and follow the line until the back of the head. 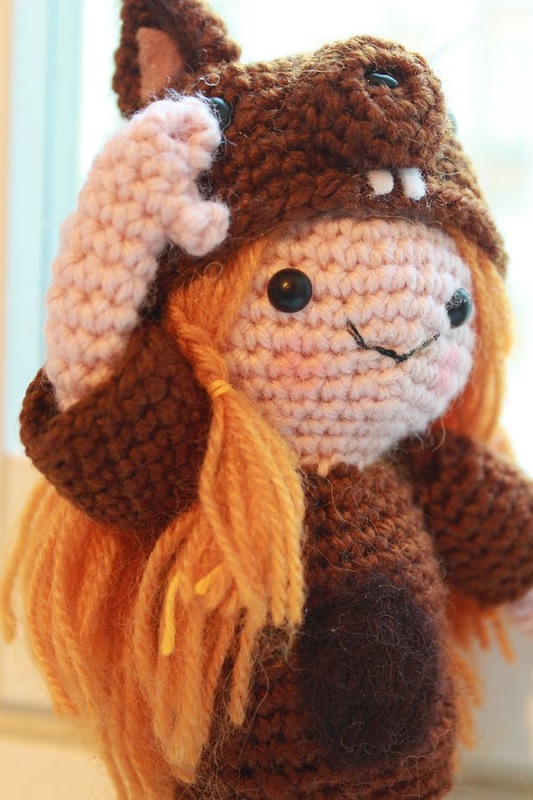 Style the hair of your Amigurumi in any way you want, be creative! Install eyes in the desired spot of the hat leaving space to place the mouth between them. Sew nose to the hat between the eyes. 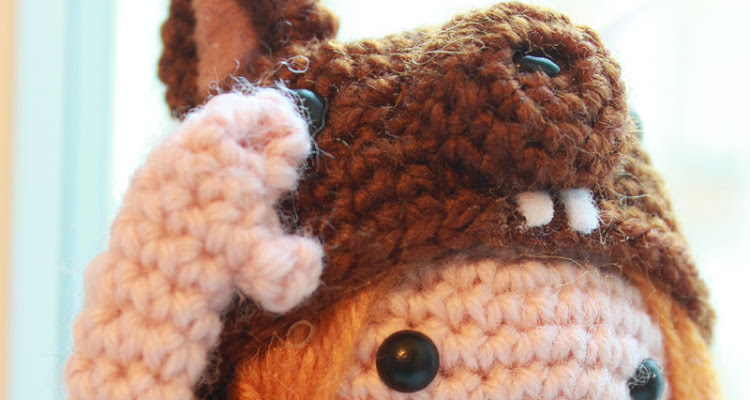 Add small accessories to the squirrel face such as teeth and decoration for the ears with pressed felt. I recommend using ”puuliima” to glue the teeth carefully to the wool. Cut two small pieces of white felt and glue them under the nose with “puulima” or wood glue that is very hard and good to keep things in place. With brown felt, needle felt a small circle in the belly of the body, you can make it directly in the doll being careful of not making it too big. Once you have the body and the head assembled, take a piece of wool in the same brown color of the body. Counting from the bottom row start with a sc in the 6th row from down to up. Place the arm inside the sleeve and sew them together. Repeat the same process with the other hand and sew both the completed arms with sleeves to the body. 1. Take a piece of felt of approximately 5 cm long and in a piece of foam start felting a flat tail with the needle. Continue felting until the felt gets a consistent texture. 2. Sew the bottom part in the beginning of the body where the hips of the amigurumi are. 3. Take the top part of the felted tail and roll it in spiral to the middle of the tail. Sew it to the body. In small scale follow the same steps to make the tail of the squirrel friend. 3. Add the arms and dress sleeves that were previously assembled. 6. Add decorative details such as lace in the socks, felt in the ears, teeth and blush in the cheeks. 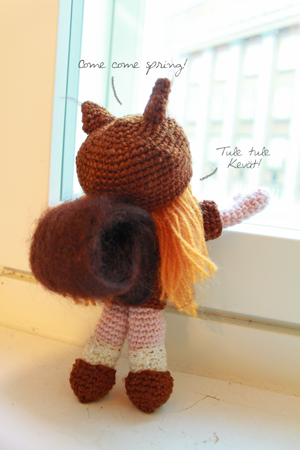 In this following post we will show you more in detail how to ensemble the Amigurumi. 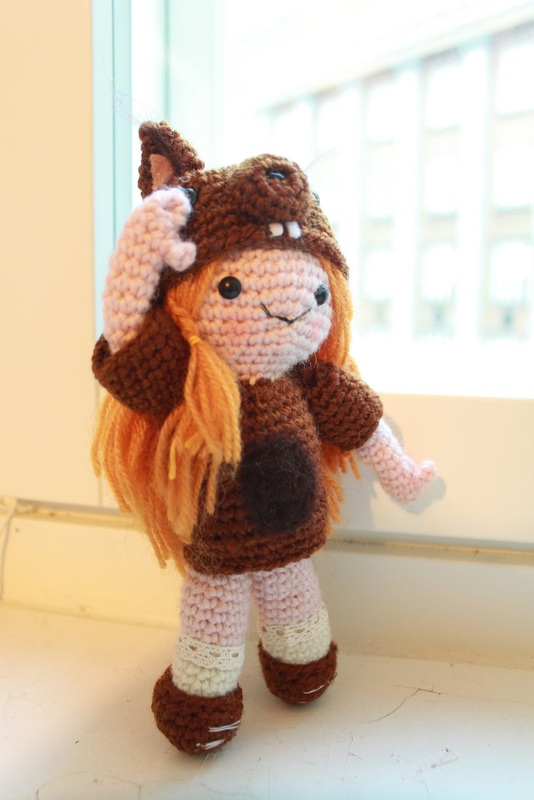 This little squirrel is the companion of our Squirrel girl, it is based in one of our patterns for beginners that you can find in this link. With black thread embroider a cute little nose and the line of the mouth. For the feet we use brown felt. Draw 4 circles of the size of a quarter (European Ninjas can use 50 cents) onto the brown felt and sew two together. Once you have both feet ready, sew them to the bottom of the body. Cut two rectangles of brown felt measuring 6cm x 3cm each and sew them together. Take the end of the rectangle, roll it two times and sew it with brown thread. Sew the remaining length of the tail on the bottom of the body close to the feet. You are done! Congratulations in completing your Squirrel girl. If you liked this tutorial remember to support us by liking our page and share this pattern with your friends!